DON'T FORGET TO USE THE INCREASE CHANCES FEATURE TO GET MORE CHANCES TO WIN! 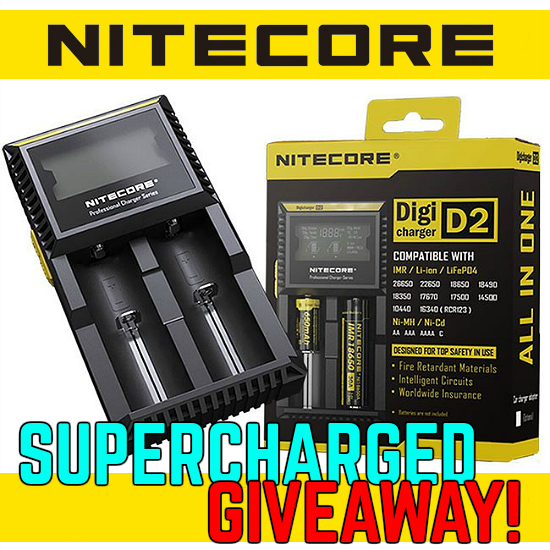 The winner of the lottery #1237 for NITECORE D2 ADVANCED CHARGER was Zvonimir Spoljaric zvrk from Karlovac, Croatia on Apr 12, 2019. OUR SPONSOR SELLS 200MG - 1000ML NICOTINE BASE - WORLDWIDE EXPRESS SHIPPING - CLICK HERE NOW! 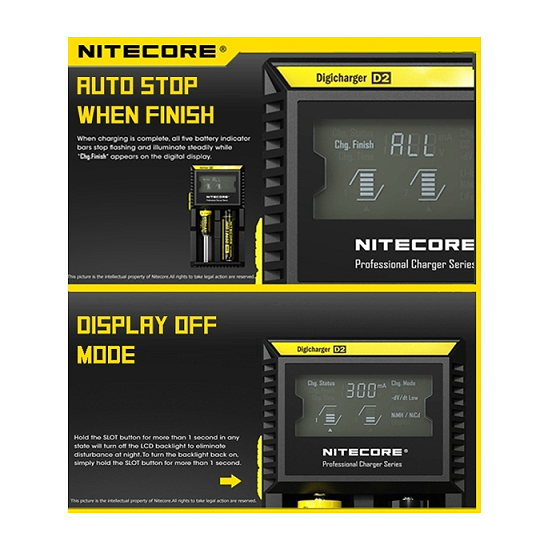 The Nitecore D2 is a truly universal charger with two independent channels and advanced circuitry. The D2 accommodates an incredibly wide range of battery sizes and chemistries. Each independent channel is controlled separately. The Nitecore D2 detects cell chemistry and voltage to apply the optimal charging mode, it also cuts power automatically when charging is finished.